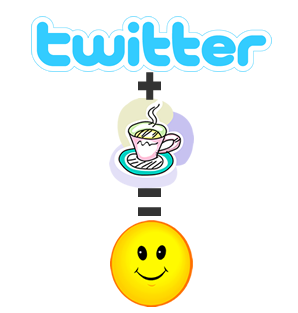 What about Twitter?…and free coffee! Some people have noticed that when I was blogging about social networking and job searches, I conspicuously left out the 3000lb elephant in the room (3000lb bird? ), Twitter. Well it actually was a conscious decision (as opposed to most of the decisions I make when I am unconscious) due to the fact I am a Twitter neophyte. I really don’t know the full power of Twitter and how to fully realize its benefits. I have an account and do tweet, but my purpose is for candidate marketing and searches, plus promotion of my blog. I know many people do use Twitter for getting the word out they are looking for jobs so I know there are many aspects of how I use it that could apply to the job search side, I just don’t know quite how yet. So I am going to put the burden of proof on you – my network savvy readers, to tell me if you have experience in this arena and share those ideas with the community. So click here to send me your entry. I will post the 5 top and let the community decide on who is best. The best entry will win a $5 Starbucks card. Hey, it’s better than nothing! This entry was posted in interviewing techniques, Job Search, networking, Twitter and tagged career growth, interviewing techniques, job boards, job hunting, Job Search, linkedin, networking, networking sites, recruiter advice, Twitter. Bookmark the permalink.